The polytechcnic of Ibadan has called for application for Daily Part Programme (Dpp) HND Form. Candidate should note that DPP-HND students are exempted from National Youth Service Corps (Nysc). Application starts 15th of November 2016 and application deadline is 30th December, 2016. Visit http://admission.polyibadan.edu.ng/ to register. 1. 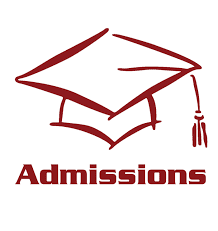 Candidates seeking for admission into any of the programmes must possess National Diploma and satisfy the general 5 credits requirement in WASCE, GCE, SSCE or NECO and NABTEB at not more than two (2) sittings. Such candidate must also have a year Industrial Training certification. 2. Candidates who have undergone the Full-Time HND screening exercise for the Full-Time HND programme of the Institution but did not meet up with the cut-off point are eligible to apply. 2. Fresh candidates will pay N12,500:00 only using any verve or Interswitch Bank Payment Card (ATM). Application closes on 15th December, 2016. Applicants are to know that the programme will be run on Daily Part-Time basis and would on completion of the programme, the students will be exempted from the Youth Service programme. They will however be issued Exemption Certificate. All admitted candidates will sign an undertaking to that effect.